The 40th edition of the PATA Travel Mart 2017, hosted by the Macao Government Tourism Office highlighted the commitment of the organisation to broaden their tourism offerings and create diversity in visitor source markets while simultaneously stressing on the importance of education and training in improving industry standards and service quality. Mario Hardy, CEO, Pacific Asia Travel Association (PATA), lets us in on more details …. Q: What were the highlights of this year’s PATA travel mart? A: With every travel mart, the last couple of years we’ve tried to innovate and try new things. We’ve introduced the mobile application which was a big hit and we’ve also added forums over the last few years to incorporate a knowledge element as well. We added two forums this year, the Blogger and Key Opinion Leader Forum and Travolution Forum Asia. In addition to all this, we even had the PTM talks during the show as well wherein people got to talk about a product or destination. With these new additions, we wanted people to be able to justify their trips, to learn, educate and engage other than just trade. Q: How was the response to this year’s PATA Travel Mart? A: The reception we received this year was nothing short of brilliant. We kind of knew Macao would be popular because in previous events as well we’ve been very successful, but it came in as a bit of a surprise to us as to how quickly we started getting the bookings right after we announced Macao as the destination for this year’s PATA travel mart. In terms of the number of attendees, this was perhaps one of the largest congregations we’ve had recently with over 1100 delegates in attendance from 66 countries. Q: How have you seen PTM evolve over the years? A: As I mentioned earlier about the addition of knowledge along with trade and the use of the mobile application, all these initiatives pay testament to our evolution. We are adding several facets and different activities but there is more of a gradual change rather than a radical change. We will continue to innovate looking at different scenarios in the future. We want to rotate and explore new destinations along with starting to look into lesser-known destinations that people can come in and explore. We purposefully don’t want this show to get a whole lot bigger than what it is currently unlike other world trade shows of the likes of ITB and WTM which are both partners of PATA. We feel a smaller intimate show is a more human size and it allows an easier opportunity for people to network and do business. In terms of membership, we have now reached 100 destinations across our members, we had 178 new members last year and this year till date we have already inducted over 160 new members, so we are on track to achieve our target of 200 new members this year. We continue to grow both in the sheer size of members and also in the nature of the business. We are fast expanding our business horizon with the addition of companies such as Airbnb to our network. Along with that, we have tech companies that are joining, OTAs and also banks that will be joining the organisation because they want to fund in the development of resorts and activities. We have always enjoyed a very diverse membership but it’s getting even more so now. The next generation of tourism professionals have also rapidly come on board; we now have student chapters at 15 universities. We have 75 universities that are members along with thousands of students who are members as well. In India, we are most engaged with Christ University. Apart from them, there are several colleges that we are working within India. Q: How was the participation from India this year? A: The participation from India was really good this time around. Although, it is sometimes a challenge with India to reach out to the right individuals who have the ability to get customers to come out from their country, add to that the fact that Indians are relatively late bookers with respect to other countries. However, any engagement with the Indian committee is always very strong and of immense value. India for us and the world similarly represents a huge potential and opportunity. With the major challenge of visa being pretty much resolved with the start of e-visas, still, I do feel that infrastructure is one area that needs major development. There needs to be a strong commitment from the state and central agencies to not only put in money for promotion but also for the development of facilities and transport infrastructure. Q: How is the PATA calendar looking for the rest of the year? A: We are going to keep ourselves really busy for the remainder of the year as well. We have another five events in 2017, the very next one being just two weeks from the PTA Travel Mart in September 28-29, the PATA Global Insights Conference 2017. We have lots of activities and events lined up for next year as well and we are really looking forward to growing from strength to strength. The Executive Board of the Pacific Asia Travel Association (PATA) has extended the contract of Chief Executive Officer Dr. Mario Hardy for a period of three years commencing January 1, 2018. Hardy joined PATA in 2012 as Chief Operating Officer and was appointed Chief Executive Officer on November 1, 2014. He is a past Chairman of the Board of Trustees of the PATA Foundation, a non-profit organisation with a focus on the protection of the environment, the conservation of culture and heritage, and support for education. 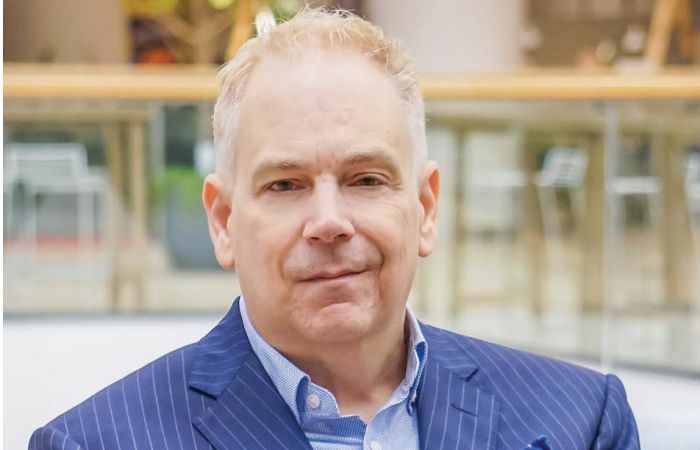 He worked for 26 years in specialised aviation businesses with a focus on data analytics and technology, occupying leadership roles in Montreal, Vancouver, London, Beijing and Singapore. Dr. Hardy said, “I am delighted to have an opportunity to work with our outstanding management team in building upon the PATA successes of the past three years. We still face many challenges as a membership organisation but our determination to add value to the many benefits of PATA membership is being recognised in the public and private sectors. We shall continue with our primary mission of promoting sustainable and responsible tourism development throughout the world as we encourage travel to, from and within the Asia Pacific region.” In January 2017, he graduated from the Singularity University, Executive Program on the subject of Exponential Technologies.